The Honor smartphones will come with some special features, which will be exclusively available on Honor 7A and Honor 7C. Huawei is growing big in the country, and its sub-brand Honor has been able to surpass Motorola and Lenovo to enter the top five list in the last quarter. The Chinese smartphone manufacturer is doing pretty well in the budget and mid-range segment with a wide range of smartphones in India. The company has experienced a 146 percent growth in the country, which is higher than Xiaomi and OnePlus. After launching P20 Pro flagship, P20 Lite and the premium OnePlus 6 competitor Honor 10, the company has now launched two new mid-budget smartphones to take on market leader Xiaomi. The newly launched smartphones Honor 7A and Honor 7C will target the best-selling sub-Rs 10,000 segment. Honor 7A will come with a 5.7-inch HD+ 18:9 widescreen IPS LCD panel with a screen resolution of 720 x 1440 pixels. Under the hood, the device will sport a quad-core Qualcomm Snapdragon 430 chipset paired with Adreno 505 GPU and 2GB or 3GB of RAM. Honor 7A will come with a dual rear camera setup. It will feature a primary 13-megapixel CMOS sensor coupled with a 2-megapixel secondary sensor backed by AI-based features. Up front, the smartphone will come with an 8-megapixel sensor coupled with a front LED flash. Honor 7A runs the latest EMUI 8.0 based on Android 8.0 Oreo. With 32GB of internal storage, Honor 7A can be expanded up to 256GB with an external MicroSD card. Coming to connectivity, it will have dual-SIM support, 4G LTE, Wi-Fi 802.11 b/g/n, Bluetooth v4.2, GPS/ A-GPS a 3.5mm headphone jack. It has a fingerprint sensor on the back with preloaded face unlock feature, backed by a 3000mAh battery. Honor 7A will be a Flipkart exclusive product starting at Rs 8,999 for the 32GB variant. It will go on sale from May 29 on hihonor.com and Flipkart. 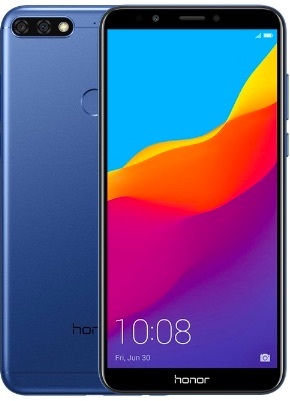 Honor 7C will come with a 5.99-inch HD+ widescreen 18:9 IPS display with a screen resolution of 720 x 1440 pixels with a 2.5D curved glass protection. It will be powered by an octa-core Qualcomm Snapdragon 450 chipset paired with 3GB or 4GB of RAM. It will run the latest EMUI 8.0 based on Android 8.0 Oreo. The smartphone features a dual camera setup at the featuring a 13-megapixel primary CMOS sensor and a 2-megapixel secondary sensor paired with an autofocus lens with a f/2.2 aperture. Up front, the Honor 7C will feature an 8-megapixel sensor with a f/2.0 aperture and a fixed focus lens. The Honor 7C will come with 32GB and 64GB storage options, where both can be expanded with an external microSD card. The device will come with dual-SIM connectivity, 4G LTE, Wi-Fi 802.11 b/g/n, Bluetooth v4.2, GPS/ A-GPS, Micro USB port, FM radio and a 3.5mm headphone jack. With a fingerprint sensor at the back, the smartphone will be powered by a 3000mAh unit. Honor 7C will be an Amazon India exclusive starting at Rs 9,999 for the 3GB RAM variant. The higher 4GB RAM version will cost Rs 11,999. 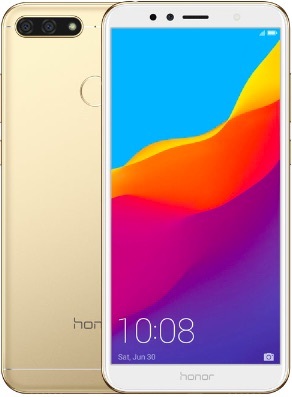 The smartphone will go on sale from May 31 on hihonor.com and Amazon India. Both the smartphones will include a Rs 2,200 cashback from Reliance Jio. Users can also get 50GB additional free 4G data with Honor 7A and 100GB free 4G data with Honor 7C. Ride Mode, a special mode for two-wheelers, just like Samsung S bike mode. Party Mode, where users can connect up to 8 phones for a Bluetooth speaker array. Paytm fingerprint single touch access. "Honor 7A & Honor 7C Launched in India – Everything You Need To Know", 2 out of 5 based on 3 ratings. Petrol And Diesel Prices Touch Record High – 5 Things You Should Know To Stay Alert! Moto G6 Vs Asus Zenfone Max Pro M1 Vs Redmi Note 5 Pro – Who Will Win? Moto G6 & G6 Play Launched In India; The New Midrange Challengers? Honor 7C Vs Asus Zenfone Max Pro M1 Vs Redmi Note 5 – Which One’s The Best? Honor 7A Vs Realme 1 Vs Redmi 5 – Which Is The Best Budget Phone In India? Top 10 Smartphones Under Rs 10,000 Which You Can Buy Now!